WHAT DO YOU WANT… A MEDAL? 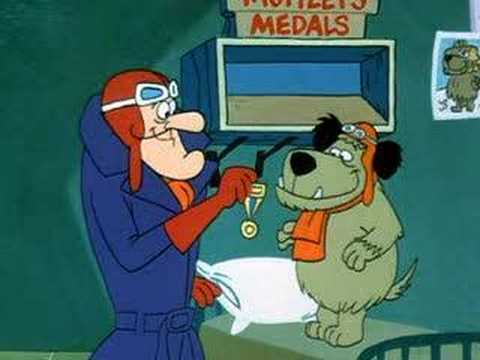 I had a bit of a Muttley moment last month when I was nominated for the Queen Elizabeth II Diamond Jubilee Medal. 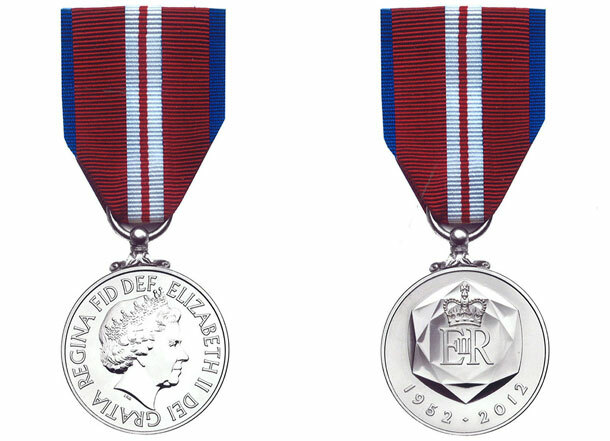 In honour of the Queen’s diamond jubilee the medal is being awarded in ceremonies all across Canada to a wide variety of people who have “made a significant achievement or contribution to Canada”. Frankly, I was little surprised to find myself on the list. 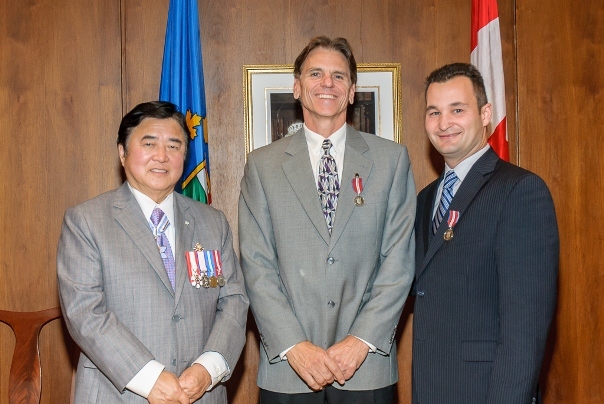 The night of the presentation 37 Manitobans gathered at Government House and received the Medal from Lieutenant Governor Phillip S Lee. It was a unique mix of business leaders, university professors, scientists and ethnic leaders. It appeared that I was there, at least in part, as a representation of the Christian community as there were Sikh and Muslim leaders as well. The event was actually very multicultural, with people from many visible races and religions. As much as I could not help but feel undeserving, I was grateful that the work of the church was being recognized. When was the last time a Christian preacher was publicly esteemed for anything? I don’t have a persecution complex, but I do think that it has been open season on the Church of late – to criticize and often belittle. In the last couple of decades we have in many ways been sidelined as an archaic and irrelevant group. So when my Member of Parliament Rod Bruinooge put forward my name, I decided I would accept on behalf of the Christian Church, or at least my little corner of the vineyard. Although I clearly feel I was undeserving of the award, there are a few Christians that made the list that might actually deserve a medal. Saskatchewan MP Maurice Vellacott nominated Linda Gibbons and Mary Wagner for the medal. 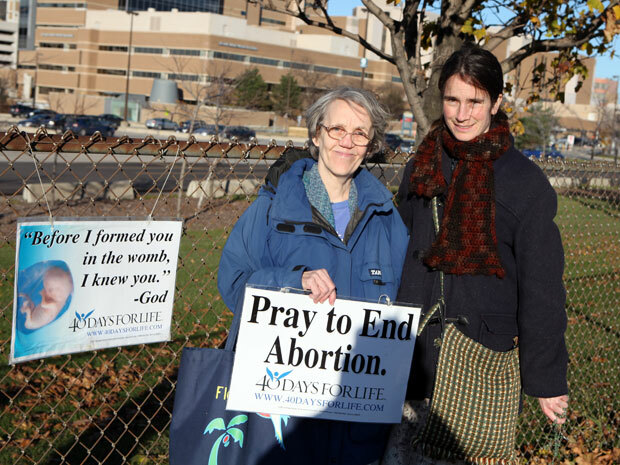 Gibbons is a grandmother who has spent 10 years on and off in prison for violating injunctions in front of abortion clinics, and Wagner is in prison in Milton, Ontario awaiting trial right now for the same thing. When Vellacott was criticized for awarding the medals to convicted criminals he responded “It’s a pretty upside down world when we honour abortionists like Henry Morgentaler for killing over 5,000 babies and imprison precious women, like Mary Wagner and Linda Gibbons, who try to save babies from such savagery. They are the real heroes of humanity!” Incidentally, Morgentaler was at one time a convicted felon himself and served months in jail. His conviction was overturned by the Supreme Court. Then in 2008, he was awarded the Order of Canada – our highest civilian award. In response, several awardees, including some high profile Catholic clergy returned their Order of Canada medals claiming the award had been tainted by giving it to a murderer like Morgentaler. When you look at the big picture it is hard to reconcile who really deserves a medal for anything. The Noble Peace Prize has been awarded to men that were widely considered terrorists by many. Yasser Arafat and Nelson Mandela come to mind. But then, one man’s terrorist is another man’s freedom fighter. Barrack Obama won the Nobel Peace Prize in 2009 for doing… what was it? I forget now… oh yeah, I remember… nothing! At the end of the day… I mean let’s face it, none of us deserve a medal for being a Christian! It is hard to escape Jesus words, “Take heed that you do not do your charitable deeds before men, to be seen by them. Otherwise you have no reward from your Father in heaven.” (Matt 6:1) What do you want… a medal? Actually no, not when you put it that way. 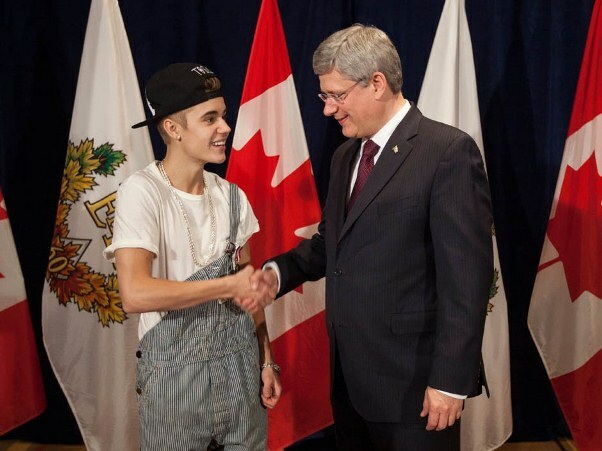 Update Nov 24, 2012: Astute reader Bruno has observed that I now have something in common with Justin Bieber. Except I feel like I might have over-dressed for the event.